What is ablation casting ? Welcome on SF blog , with readers from all over the world! We invite you to subscribe today (top right-side bar). This article briefly explains what is ablation casting and why it’s a game changer. Thrilling results and discussions from technical papers are highlighted below. Did you know about Honda NSX ? What is ablation casting process ? No degassing, no modification, no grain refinement of liquid A356. Ablation design takes care of casting quality through directional cooling. Start ablation of the mold / rapid solidification of the aluminum. Grassi, Campbell et al. first published their innovative work in 2009. Since then, few foundries seem to have taken the step forward with the process (see conclusion with Honda). Figure 1 : Ablation casting process of aluminum alloy A356 : a) shows a chemically bonded sand mold soluble in water being ablated using water jets. The green arrow shows advancement direction of the water jets system, from the colder end towards the hotter end of the casting ; b) shows the casting after ablation and solidification are complete . The main innovation of the ablation casting process resides in i) using the mold only to control shape and ii) the fluid coolant designed ( like water jets ) only to control heat transfer. In practice, there’s a slight overlap but you get the theoretical idea. Use of chills and feeding design need to be adapted accordingly. So, how do you decide when to start the ablation process ( or when do you turn on the water jets ) ? We don’t want to repeat ourselves from previous article on SF blog but here again, MeltLab thermal analysis is the measurement tool for the job, as it is for all liquid metal engineering and process control. You install thermocouples connected to MeltLab data acquisition system. Thermocouples are at critical sections of your mold cavity before filling the casting. These sections should act as thresold-controls for mechanical properties and subsequent solid-state quality controls ( X-ray, micros, tensile bars, hardness, etc ). Then you record data with MeltLab thermal analysis system. Now, you know when to process your melt, or how to modify feeding design. When you’re ready to go from prototype to production, you do a correlation with standard size MeltLab thermal analysis cup ( in this case, for aluminum ) and you’re ready for process control. In the present experiment by Taghipourian et al. on ablation casting ( figure 2 and 3 ), it was decided to investigate what happens if the casting solidifies entirely before the end of the secondary eutectic in A356, or if it’s not ablated at all. All technical papers SF read so far reinvent the wheel with great efforts using less accurate, less cost-effective thermal analysis systems than MeltLab. Figure 3 shows an example of such thermal analysis system, with a noisy first derivative ( black curve ). Imagine the noise for the 2nd derivative, and forget about the 5th. A noisy signal like this can only give an estimate of what is the temperature of a given phase transformation, when it starts and when it ends. MeltLab makes life a lot more easy, profitable and accurate. Let’s use the best thermal analysis system for the job and start saving both money and time at the foundry or university lab. In this case, the idea is to start ablation ( turn on water jets ) at the optimum moment during solidification of A356 to allow for the desired microstructure, and avoid undesirable phases . Figure 2 : Different cooling curves at the same critical section of the casting. This is for different delays before starting ablation of the mold after filling it with liquid A356 : black cooling curve shows conventional casting ( non ablated ), blue curve is ablated 120 seconds after filling, yellow curve is ablated 60sec after filling and red curve is a 30sec delay after mold filling. Figure 3 : Cooling curve (red) and first derivative of the cooling curve (black) for a) conventional sand casting ( no ablation ) and b) mold ablation 30 seconds after filling with metal . By following the ablated solidification path of Figure 3 b), you end up with great mechanical properties compared to if you follow Figure 3 a) with no ablation( Table 1 ). This is mainly because you avoid undesirable phases while promoting desired ones, thanks to controlled and high cooling rates of the ablation casting process. Table 1 : Mechanical properties of as-cast samples taken at the same section for non-ablated casting ( Figure 3a) ) and ablated casting 30 seconds after filling with liquid A356 metal ( Figure 3b) ). Tiryakioglu et al. conducted a mechanical properties comparison of ablation-cast 6061 T6 versus forged 6061 T6 condition. They conclude that : ” The old limitation of inferior properties, particularly fatigue, is now for the first time demonstrated to be solved” . Honda took the ball and scored A356 sand ablated castings in their 2015 Honda NSX car model. What’s next ? 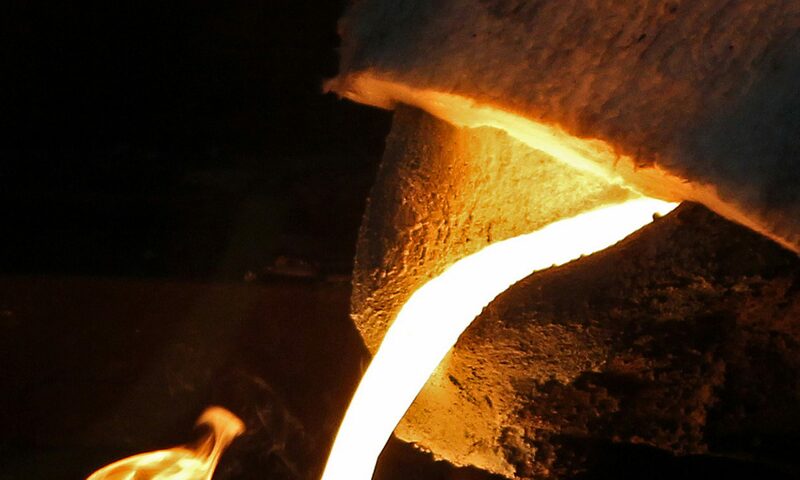 SF will continue to explore market opportunities for new foundries customers that could win new contracts through investment and development into ablation casting. Because as you know, between 2017 and 2025 the market is asking for structural components with high and stable mechanical properties. Ablation casting is a solution worth considering. Market niches exist for this process in line with CAFE standards and trend towards structural castings having high and stable mechanical properties. Next article on SF blog will be on green sand process control or die casting. Subscribe to the blog today ! Bohlooli V., Effect of Ablation Casting on Microstructure and Casting Properties of A356 Aluminium Casting Alloy, Acta Metallurgica, 2013. Previous PostPrevious Thermal analysis, spectrometry and bi-film code for your liquid aluminum quality ?